Stephen Darori's Social Media Wisedom From Zion. : Social Commerce and Why Should Your Brand Care? Social commerce is what happens when savvy marketers take the best of e-commerce and combine it with social media. Shoppers today are looking to Facebook, Twitter, and Instagram to decide what to buy online. Social media platforms are capitalizing on this trend by adding new direct response advertising buttons such as “shop now” that encourage users to take action. Facebook, for example, recently improved the mobile shopping experience by allowing consumers to make purchases directly through the platform instead of being redirected to the retailer’s website (F-commerce). When a customer buys your product, they either type their credit card information directly into Facebook or choose to store their information for faster purchases in the future. Although not all social media platforms have social commerce capability (Twitter will soon phase out its “buy” button), consumers are definitely turning to brands’ social pages to learn about their products, which indicates the potential value of social commerce. Not convinced? Let us make the case for why your business must care about social commerce. Malls may be becoming obsolete, but that doesn’t mean consumers want a solitary shopping experience. Online shoppers can consult friends and family and show off their purchases by posting on Facebook, Instagram, and Twitter as well as sharing through instant messaging. Several brands have added forums to their websites where customers can post photos and reviews, advising other shoppers and creating a sense of community. With social commerce, your audience no longer has to go to the mall to get that communal shopping experience. 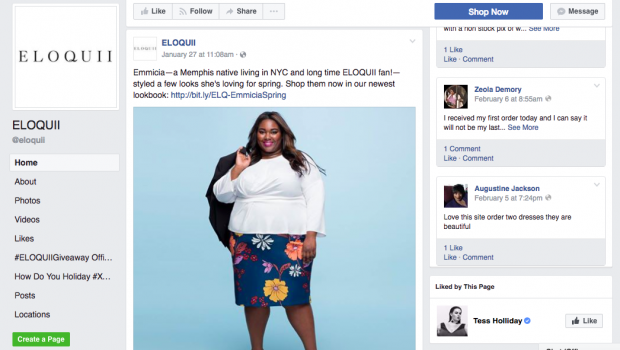 Women’s clothing store, Eloquii utilizes social commerce with their unique “Style and Substance” series, highlighting the style and personal accomplishments of one of their customers each month. They post the article on Facebook, inviting their community to comment and share their own style. Image via Eloquii on Facebook. A positive user experience is key to repeat business. Consumers remember brands that make purchasing quick, easy, and aesthetically pleasing. By removing the extra step of leaving their preferred social network to go to your website and purchase a product, you can dramatically improve the e-commerce experience for your audience. According to research from loyalty analytics company Aimia reported by Marketing Week, more than half of consumers who follow brands on social media sites do so to find new products. That’s a great opportunity to move potential customers quickly from interest to purchase through an excellent social commerce experience. Global social commerce revenue has increased from $5 billion in 2011 to $30 billion in 2015. After they won the NBA Championship, the Golden State Warriors basketball team offered $35 commemorative T-shirts to their followers through a Twitter “buy” button and subsequently sold $125,000 worth of shirts. That’s a lot of tees. Not only does social commerce expedite the transaction experience, it can also give you immediate feedback about your products. Consumers use social media to discuss and review products already. If something you’re selling isn’t working, you’ll know right away and can provide personalized customer service through the platform. Use the feedback to do more of what is working and to improve on what’s not. Young people are using social media more than ever and research shows that social platforms inspire purchasing decisions. The top five purchases among 18- to 34-year-olds who use social media to browse for new products are clothing and fashion (66 percent), gifts (61 percent), home decor (58 percent), food and drink (58 percent), and accessories (57 percent), reports Marketing Week. Popular platforms have employed social commerce functionality using unique methods. Here’s a rundown on what the top networks are doing these days. When someone wants to buy a product on Facebook, they either type their credit card details directly into Facebook or choose to store their information for faster future purchases. According to Shopify, Facebook has the highest conversion rate for all social media e-commerce traffic at 1.85 percent. People can find your Buyable Pins all over Pinterest—in search results, in related Pins, and on your business profile. They will know the item is buyable by the price listed in blue. Buyable Pins work seamlessly across mobile and the web, so you can close the sale in the moment when someone feels compelled to buy, regardless of what device they’re using. Pinterest doesn’t take a cut from your sales and you handle shipping and customer service in the tried and true manner that works best for your business. However, Pinterest is selective about their merchants. Buyable Pins are currently available through three commerce platforms: Big Commerce, Demandware, and Shopify. WeChat, an all-purpose mobile app now has 806 million monthly active users. The average user in China spends 70 minutes a day on the app, according to a report by KPCB analyst Mary Meeker reported by AdAge. WeChat Pay is a payment feature integrated into the WeChat app that allows users to insert payment quickly with mobile devices. WeChat has Quick Pay, QR Code Payments, In-App Web-Based Payments, and Native In-App Payments to meet a variety of customer payment preferences. Instagram provides call-to-action tools in the form of “shop now” and “install now” buttons. Instagram is a particularly visual platform, so you will want to put extra care into creating eye-catching photos and videos if you choose this channel. You can use a tool like Pixlee to reduce the path to purchase on Instagram even further. Pixlee can help you create curated shoppable galleries featuring real people using your product on Instagram, Twitter, and Facebook to drive website traffic and conversion. 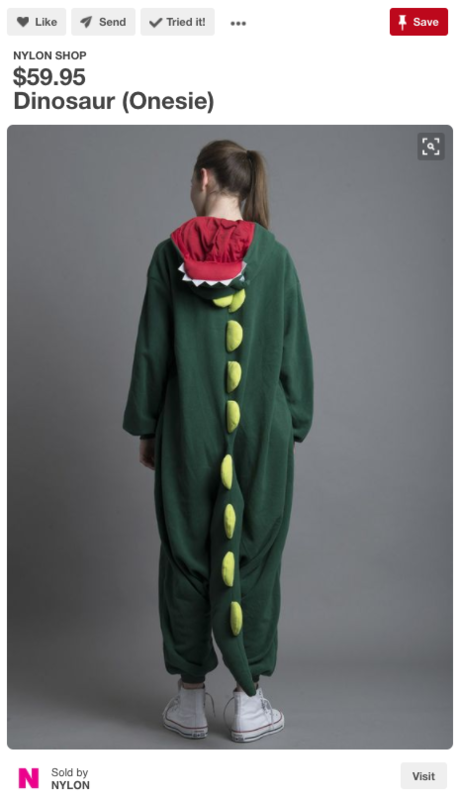 Polyvore is one of the largest social style communities on the internet. Most of the content is generated by users, who can choose the products they like, create collages, publish as a set, and then share with other users. 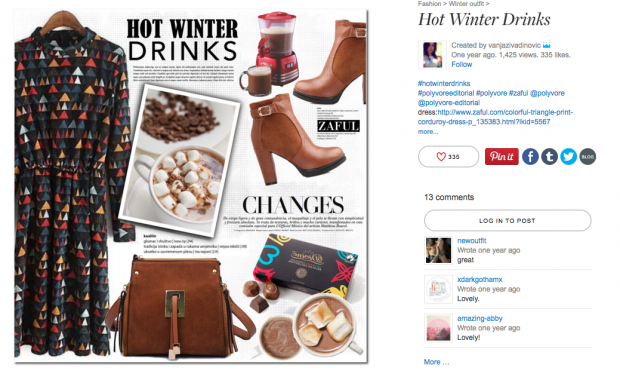 Polyvore was created with both social and commerce experiences in mind, so it is a particularly great platform for finding an audience already interested in purchasing. The Polyvore app makes buying achievable in just a few clicks. Today’s consumers want an authentic-feeling experience when they interact with your brand. It’s much easier to create this vibe when you know your audience. Social commerce cuts both ways. A well-executed social commerce strategy can take your visibility and profits to new heights, but a bad one can do some real damage. Here are a few things you should know about social commerce before you hit the big red button. A survey by BrightLocal found that 88 percent of consumers trust online reviews as much as a personal recommendation. Enabling customer reviews on your site can boost your company’s organic search rankings in search engines. Every fresh review written about a product on your site is like free content. With enough reviews, your site will be registered as a relevant, authoritative source. The more reviews you have, the higher the probability that your site will rank. People are busy. The quicker and easier you can make the buying experience, the more likely they are to follow through on their impulse to purchase. As social media platforms continue to develop and refine tools for social commerce, your brand should have a strategy on deck that you can quickly put into action. More than 95 percent of social media managers say Facebook offers the best return, followed by Twitter and Instagram last year. While the social ads tools and networks available are constantly evolving, the key principles of effective social media advertising are much more stable. Check out Social Media Advertising: The Complete Guide for a full rundown.